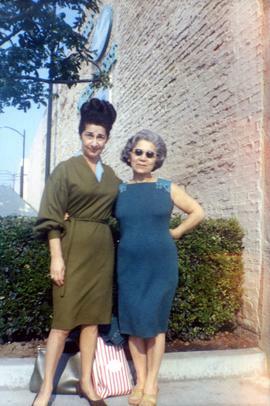 Ann and Jan [lIsagore] on Beverly Drive in Beverly hills California. Photograph depicts Irving Glassman, Paul Sealfan (President of Laurels Lodge), and Alec Jackson at the San Fernando Valley "Maintain the Gain" kickoff in Beverly Hills in 1967. 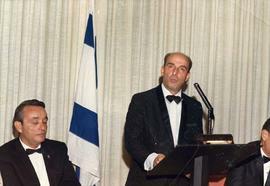 Photograph depicts Alec Jackson and others from the Vancouver delegation at a B'nai B'rith convention. Photograph depicts Bernard Victor (Warden of B'nai B'rith #668), Alec Jackson, and David Goldman (B'nai B'rith Past Grand President) at a B'nai B'rith convention in Beverly Hills in 1969.